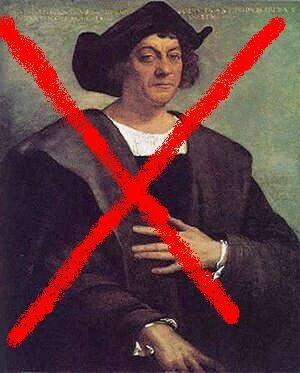 Columbus day should be changed to something else. 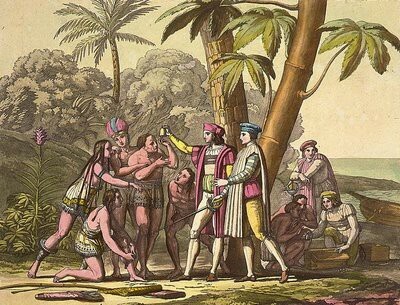 Columbus did discover America, and without him we wouldn't be here. But come on lets be realistic becasue of him thousands of natives died brutally; they lost thier people, thier culture and all together thier identity. columbus was not the hero for the naitives he was the villan. Columbus tryed to find Asian but he failed because he found the indies. And why did he want to find Asia? 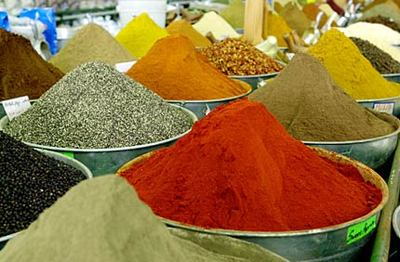 Because he was looking for gold and spices to take back to the king and queen of spain. Becasue of Columbus and his men he brought over many unfamiliar deseases to the naitves. And since thier immune systems' wasn't used to these disease they couldn't fight them and so many died. "Columbus, the Indians and the 'discovery' of America." Libcom.org. N.p., n.d. Web. 17 Sept. 2012. <http://libcom.org/history/columbus-indians-discovery-america>. "Christopher Columbus: The Untold Story." Christopher Columbus: The Untold Story. N.p., n.d. Web. 18 Sept. 2012. <http://www.understandingprejudice.org/nativeiq/columbus.htm>.